The EU has supposedly similar tax laws and reciprocal VAT agreements to avoid double taxation, but in practise racehorse trainers are among the many businesses who discover this is not always the case. Invoices incorrectly issued with VAT can lead to problems in reclaiming the tax, if at all, and tax deducted at source from prize money can take up to four years to reclaim. Such is the difficulty involved—many simply don’t bother to try. The European prize money payment system may not be fully unified but most racing authorities and organisations such as Weatherbys, Horse Racing Ireland (HRI) and France Galop, work together on a reciprocal payment system to make the transfer of prize money as straightforward as possible. The problems arise when additional costs are imposed, not by the racing authority, but by that country’s government. 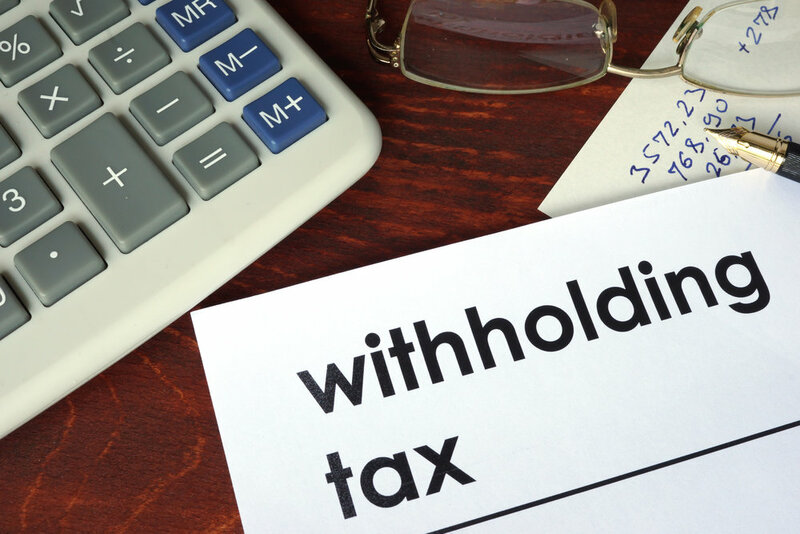 Withholding tax, which can catch owners and trainers unawares, is out of the hands of racing authorities and beyond the scope of unification. If, for example, a person is deemed to have earned money in Germany—including prize money—they are deemed liable for the income tax on that money. In most cases this can be very simply avoided by completing the necessary forms beforehand, as the EU rules that if you have paid tax in one European country you do not have to pay it in another. However, some Member States do not consider an EU VAT number as sufficient for withholding tax exemption or VAT-free invoicing, and their racing authorities are obliged by law to charge VAT on their invoices. Which countries these are is not always clear, as treaties to avoid such complications are in place but not complied with. As an example, in December 2017 the European Court of Justice (ECJ) decided that German anti-treaty shopping rules, which denied full or partial relief from withholding tax, was not compatible with EU directives. An amendment to German taxation law is expected to be made as a result but has yet to be introduced. Weatherbys, France Galop and HRI have a withholding tax exempt form, which can be filled in before a horse races abroad. This is advisable because it is much harder to claim back any tax stopped afterwards. It can be a month later when the prize money arrives into an account, at which point the tax stopped becomes apparent, and it is difficult to apply for a refund. Double taxation conventions and treaties exist between cooperating countries, but stamped certificates from the relevant tax offices are still required in advance. Your racing authority will be able to help you with this. Withholding tax rates shown in the table are the current statutory domestic rates that apply to payments to non-residents, which may be reduced if an applicable tax treaty is in place. Qualifying payments to EU residents may also be exempt under EU directives for all listed countries, with the exceptions of Hungary, Norway and Turkey. While withholding tax only applies to prize money won abroad, a more regular taxation issue is VAT, applied to purchased goods and services. The EU has standard rules on VAT, but these rules may be applied differently in each EU country. For EU-based companies, VAT is chargeable on most sales and purchases within the EU. If you are registered for tax, theoretically VAT can be reclaimed, but where it is deducted by another EU country, this can lead to “double taxation” problems. In an attempt to ensure tax is paid only once on EU services and purchases, double taxation conventions and treaties have been agreed between cooperating EU countries. However, there are growing concerns at cross-border tax problems facing individuals and businesses operating within the EU and, at time of writing, the EU Commission is currently considering closely the possible conflicts between the EC Treaty and the bilateral double taxation treaties that Member States have agreed with each other and with Third Countries. A study completed by the Commission in 2001 on taxation highlighted a number of problems that have yet to be tackled, including the question of equal treatment of EU residents and the application of bilateral treaties in situations where more than two countries are involved. A possible solution is the creation of an EU version of the Organization for Economic Cooperation and Development (OECD) Model Convention that serves as a guideline for establishing tax agreements, on which Member States' bilateral tax treaties are based, or a multilateral EU tax treaty. The double taxation agreements of Member States will continue to be subject to review by the EU Commission, particularly in trying to address the problems resulting from a current lack of coordination in this area—most pronounced where more than two EU countries share a treaty or where a Third Country is included. Belgium has a network of treaties for the prevention of double taxation with 88 countries, including Austria, Bulgaria, Croatia, Cyprus, Czech Republic, Denmark, Finland, France, Germany, Greece, Hungary, Ireland, Italy, the Netherlands, Norway, Poland, Portugal, Romania, Russia, Slovakia, Slovenia, Spain, Sweden, Switzerland, Turkey and the UK. Germany has treaties with, among many others: Austria, Belgium, Bulgaria, Croatia, Denmark, Finland, Ireland, Italy, the Netherlands, Norway, Poland, Portugal, Russia, Sweden, Switzerland, Slovakia, Slovenia, Spain, Turkey and the UK. As identified by the ECJ, those treaties are not always honoured. France likewise has a long list of treaties that includes the EU Member States, and Ireland has signed comprehensive double taxation agreements with 74 countries. Some racing jurisdictions have very clear guidelines set by government, and the German Federal Central Tax Office has a special procedure for exempting foreign taxpayers from certain taxes deducted at source, requiring a tax certificate and withholding tax exempt form well in advance. Foreign individuals are subject to limited tax liability in respect of the income they derive in Germany, and this tax is otherwise automatically withheld at source.